In 2014, there were 885 million physician office visits. 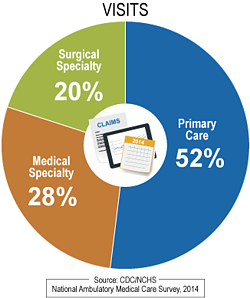 Over half of these visits occurred in primary care –family medicine, internal, medicine, pediatrics and others – but there are still hundreds of millions of visits to medical and surgical specialists as well. Based on information available from journal publications and claims data, we assembled this list of the top ten risk and safety issues pertinent to ambulatory care settings. While this list is not exhaustive, it represents the majority of errors and pitfalls in ambulatory patient safety. According to benchmarking data from CRICO, nearly one-third of malpractice cases in ambulatory care involved errors related to diagnostic testing and the processing of results. Chronologically, errors begin with the failure to order a test, or if ordered, failure to order the appropriate test in the first place. Additional sources of error include the mislabeling of test specimens and improperly performing the test itself. Assuming the test is ordered and performed correctly, errors can occur in properly interpreting the results. Finally, issues arise with the management and communication of abnormal test results. It is not uncommon that results are returned and filed without the practitioner or specialist being notified. If results were communicated to the provider, the patient may not be notified of their own test results. These communication issues can result in a delayed diagnosis. Just as in the hospital, medical safety is paramount in the ambulatory care setting. Errors occur in every phase of medication utilization, including reconciliation and having access to a patient’s medical data at the time the prescription is being written or sent. Safety issues may also arise with storage, expiration dates and security. Security pertains to not only the medications themselves, but also the paper and prescription pads used; while these are declining with the increased use of electronic medical records and order entry, it remains a huge issue if a written prescription is stolen or forged. Providers also need to ensure that their staff maintains confidence and stays within the scope of their licensed practice – e.g., RN, LPN and medical assistant. Finally, similar to the hospital setting, verification and identification of the right patient prior to drug administration is certainly required in order to avoid giving a drug to the wrong patient. Healthcare-associated infections are no longer limited to the ICU or hospital wards. Basic infection control practices such as handwashing, specimen handling, and equipment sterilization should be observed in ambulatory settings. Are you aware of your protocols for managing patients who come into the office setting with a known or potential communicable disease? This includes HIV, chicken pox, measles, pertussis, respiratory disease such as influenza or SARS, or even Ebola or Zika virus in some cases. Communication issues have been implicated in nearly all malpractice cases. In the vast majority of malpractice cases alleging the failure to diagnose, communication errors are a root cause. There are many steps in the diagnostic process; each step really is an opportunity for a breakdown in communication and coordination of the patient’s care. Like the childhood game of telephone, a critical piece of information can get passed inaccurately from one person to the next, which can result in delays and errors in patient care. Providers and their office staff need to work out reliable systems that streamline communication with each other, patients and consultants. This is necessary not only for in-person verbal communication, but now also for communication by telephone, email or electronic patient information portals. What happens when emergencies crop up unexpectedly in the ambulatory setting? Patients don’t always follow our rules and have their emergency in the hospital ED. When least expected, emergencies such as syncope, chest pain, medication reactions and even cardiac arrest can and will occur in the office setting. The key to ensuring patient safety related to these office emergencies is to be prepared. Create a checklist of appropriate and well-maintained equipment onsite. Create a list of provider and staff qualifications to respond to these emergencies and make sure everyone knows their role. 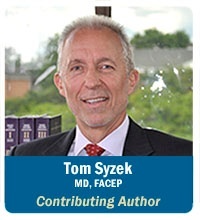 Formalize procedures in advance – who will do what when an emergency occurs? Who are you going to call for help? Hold practice drills in a few or all these key emergencies to reveal your own level of preparedness in each setting. Telephone communication is certainly the lifeline of many businesses; this is certainly true in healthcare, which has the added element of potential harm to a patient’s safety. You might have overheard unqualified personnel giving inaccurate and even harmful advice over the phone. Common telephone errors include the wrong information, bad advice – such as telling a patient to stay home rather than come in to be seen – and failure to document the telephone encounter to ensure continuity of care. The most obvious category of issues that affect patient safety in ambulatory care is the actual medical care delivered to patients. As with all other settings in medicine, providers are responsible for adhering to the standards of practice, not only for their specialty, but also for their location. Providers also need to ensure that their staff maintains confidence and stays within the scope of their licensed practice – e.g., RN, LPN and medical assistant. We are seeing the role and number of nurse practitioners and physician assistants expand across the country. The employer is responsible to determine compliance with their scope of practice and supervise NPs and PAs according to the laws of the state where the practice is located. Errors can and do occur with procedures, including the wrong procedure performed on the wrong patient or on the wrong operative site, or the wrong medication given to the wrong patient. These really should be considered outpatient versions of a “never event.” There are guidelines, checklists and best practices already in use that can be adopted or modified for use in every outpatient setting where these procedures are performed. As if there is not enough to worry about already, the last thing that healthcare professionals want to face is a threat to their own safety in the workplace; however, workplace violence does occur. The safety of staff, patients and visitors must be addressed with documented policies and procedures for handling the most common safety threat. Even though they are do not happen often, the most common safety threats include assault, battery, robbery, abduction, altercations, and even an active shooter. The final safety issue on this list is the privacy of protected health information. 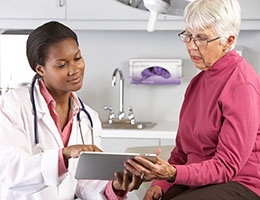 In the era of social media and instant news, curiosity can tempt unwary providers and staff to access, view, discuss, and transmit patient information, even when doing so is a flagrant violation of HIPAA. Posting information about a patient visit on social media, even without a name or other identifying feature, can be a violation of privacy law. Do you have a policy in place for who has medical record access besides providers? Are you mindful of non-employees that might have access after-hours, such as a cleaning crew? We suggest you take a brief “time-out” from your everyday practice routine, gather your staff, and collectively address these Top Ten Risks in your ambulatory practice in a positive and proactive fashion. This investment of your time will pay dividends in increased safety for your patients, your staff, and your own peace of mind.